September is just around the corner so it’s time to get ahead of the back to school shopping crowds by getting all you need for the new school term by shopping online. When you shop the easyfundraising way you’ll save time and money and raise BIG donations for your cause from over 3,300 retailers. Remember, you can raise donations on everything from school uniforms to lunch box goodies. Take a look at our top 10 Back to School retailers where you’ll find the biggest donations and savings. 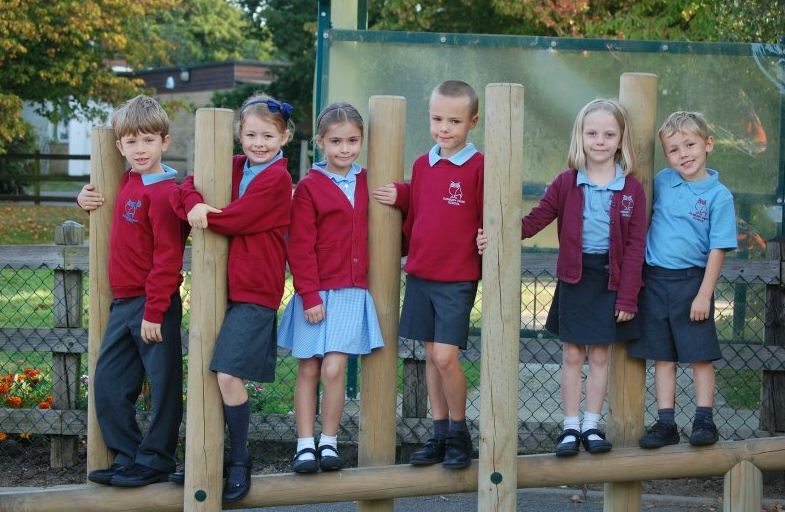 You’ll find a huge range of school uniform items for children aged from 3-4 right up to sixth formers and college students at the ‘one stop school shop’. Knitwear starts from just £3 and polo shirts made with ‘stay white’ technology will make washing easier. School uniform name tapes, school shoes and trainers, school bags, lunch bags and bottles, underwear and even watches can all be ordered in one place. Finding a well-fitted school shoe is important to make sure your children feel comfortable at school. You’ll find school shoes for boys and girls plus school trainers and plimsolls. Enjoy free delivery on orders over £50. Here you’ll find plenty of offers on their school uniform range, which include 2 pack of polo shirts for £2.50 and a range of school trousers including the new stretch skinny style from £7 for 2. F&F Clothing has a plus fit range along with a selection of school coats, PE and sports kits, socks, tights and underwear, and uniform embroidery. Plus, you’ll get free delivery when you spend over £50. You’ll find an affordable range from top sports brands including Nike, Adidas and Reebok. Order school football kits, sporty school bags, swimming kits, running clothing, cricket clothing, hoodies and waterproofs and get big discounts. For school stationery, head to Viking who are currently running a clearance sale. Raise donations on a huge variety of products, such as writing instruments including ball point pens, highlighters, pencils and crayons, paints and brushes; desk top essentials including calculators, diaries, notepads, and paper clips; and storage and archiving including dividers, organisation folders and box files, plus much more. Stock up on bags of chopped fruit and veg, sandwich fillers, yoghurts, healthy snacks and drinks for packed lunches, plus lunch boxes and bottles. Have the groceries delivered to your door and enjoy £18 off your first grocery shop over £60. Use code ‘AFFEFRAUG’. The school uniform range has a variety of fits and styles to suit every child and don’t forget to order groceries for school lunches, learning books and stationery. Staples have a wide range of school essentials to make sure kids go back in style, including offers on pens, pencils, notebooks, calculators and more. Make sure you’re fully stocked with printer paper and ink, and you may want to purchase a new laptop, tablets or PC to make sure your child has all they need to succeed this year. Staples has a huge choice of brands, including HP, Microsoft, and Acer. Head to John Lewis’ back to school range for school uniform items; sports kits including ballet, cricket, gymnastics, football and rugby; aprons and lab coats; and lunch boxes and water bottles. eBay has pretty much everything you need for the new school year. Shop and raise on laptops, netbooks and ebook readers; printers and scanners; stationery and school equipment; school uniforms, sportswear and school bags; musical instruments and much more.